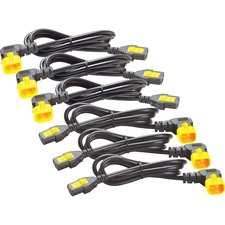 Tripp Lite's line of Color-Coded AC Power Cords offer quick identification of your computer cables. 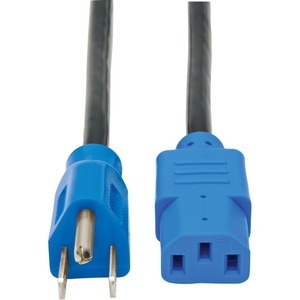 This 4-ft. cable with Blue connectors will replace the power cable on most computers and peripherals that have a removable power cord. Cable features an AC style plug (NEMA 5-15P) on one end and a computer style receptacle (IEC-320-C13) on the other end. Cable has both UL and CSA approvals. Tripp Lite warrants this product to be free from defects in materials and workmanship for life.